On your arrival in Malé International Airport, you meet our tour representative and get assisted transfer to hotel by speedboat. Check in at the resort and spend the rest of the day at leisure in Male, the island capital, known for its picturesque beauty. Crystal clear waters and clean beaches are known for their tranquility and are look alluring. It attracts all kinds of tourists- those who are looking for a peaceful retreat and those too who wish to partake in adventure activities. Stay overnight in the hotel. This morning, after breakfast go for some water sports activities. Day 2 of your tour is going to be an exciting one. Maldives offers unparalleled experience of water skiing, jet skiing, water surfing, snorkeling, sailing, parasailing, beach volleyball, basket ball etc. Partake in water sports activity of your interest.You also have the option to either go Island-hopping or morning line-fishing, game fishing in speedboat, or go for night fishing trip with a barbecue dinner. Overnight stay in the hotel. After breakfast on the third day, you have an option of visiting either the Maldives National Museum or Hukuru Mosque. The museum houses the collection of artifacts like the Sultanese thrones and palanquins. View some most amazing artifacts of the Maldivian history. Hukuru Friday Mosque is an ancient decorated mosque that is adorned with golden dome. You later go for a stroll in the local markets for fish or other goods. Overnight stay in the hotel. On the 4th day of the tour, you arrive in Sri Lanka today, meet our tour representative and get transferred to a hotel in Colombo. Rest of the day is to be spent at leisure. 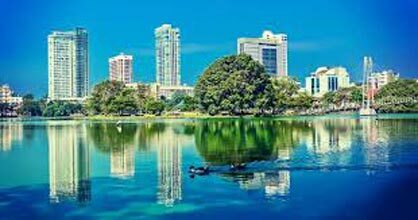 Colombo, Sri Lanka's capital and the largest city, is home to some of the most marvelous structure of colonial architecture and some pristine beaches too. Colombo boasts of a rich colonial heritage. Stay overnight in hotel. On the 5th day of the tour, upon breakfast, get set for city tour and shopping. 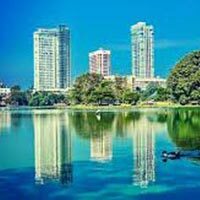 You can visit the popular attractions of Colombo such as Viharamahadei temple, Gangaramaya Buddhist temple, National Zoological Garden, Beira Lake, Colombo Dutch Museum, Seema Malaka temple, Kelaniya Raja Maha Vihara and so on. Do not miss gorging on sumptuous delicacies of local cuisines. If your interest lies in shopping, you have plenty of options. There are both malls and normal markets where you can get your hands on jewellery, electronic goods, clothes, fruits, handicrafts items, and so on. Overnight in hotel.